Trio Nutrition Premium Apple Cider is an easy to swallow capsule that delivers the benefits without leaving the taste of vinegar in your mouth. Trio Nutrition Premium Apple Cider contains 500mg of apple cider per softgel capsule. Other ingredients include Acetyl L Carnitine – an amino acid that helps the body convert fat into energy, a Citrus complex, and more. We uncover the nutritional benefits and side effects you might encounter. No comments Published Mar 25, 2019. Many people like the idea of taking apple cider vinegar but not everyone likes the taste. 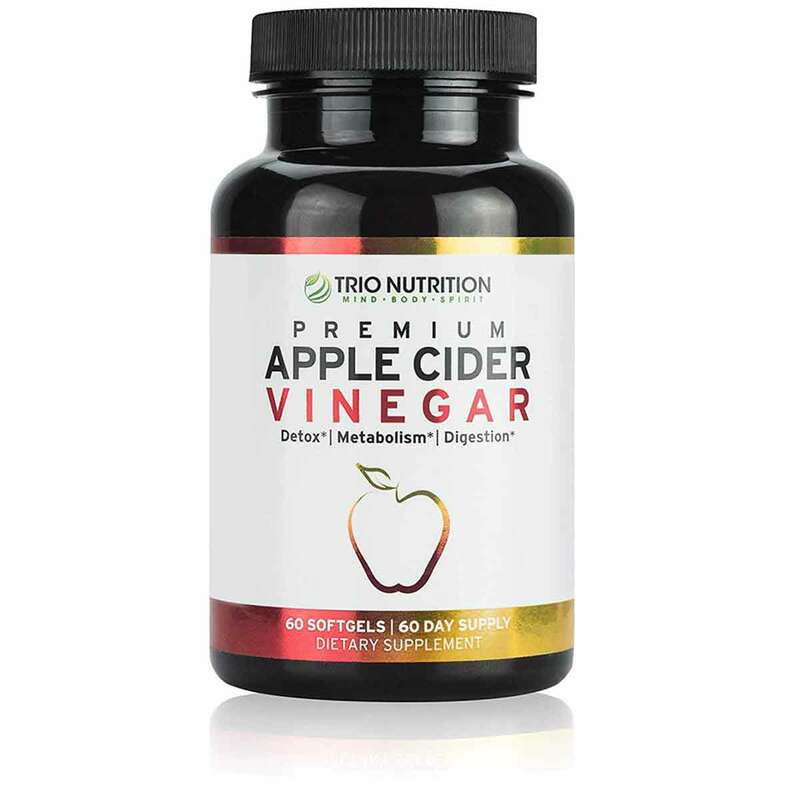 Trio Nutrition Premium Apple Cider Vinegar is an easy to swallow capsule that delivers the benefits of apple cider vinegar, without leaving the overpowering taste of vinegar in your mouth. Is it worth a try? Let’s find out. Trio Nutrition is a vitamin and nutritional supplements company based somewhere in the USA. Trio Nutrition sells via Amazon and from the Trio Facebook Page. Trio Nutrition Premium Apple Cider Vinegar is a supplement that will probably appeal to you if you believe in the benefits of apple cider vinegar but don’t like the taste of it. However, it is important to remember that all testing on cider vinegar has been carried out on using the ordinary vinegar, and there is no real evidence that cider vinegar in supplement form has the same benefits. That said, Trio Nutrition Premium Apple Cider Vinegar is not expensive and each bottle will last 60 days if you take as advised. It is only on sale via Amazon and comes with a 60-day money-back guarantee. There are no details about how to claim this, but you are advised to contact Trio Nutrition via Amazon for more information. What are the side effects of Trio Nutrition Premium Apple Cider Vinegar? Side effects are unlikely to be an issue for most users. How much does Trio Nutrition Premium Apple Cider Vinegar cost? Trio Nutrition Premium Apple Cider Vinegar is not expensive when compared to other supplements on the market. However, it is very expensive when compared to buying apple cider vinegar from the supermarket! One bottle of 60 capsules costs $14.92 from Amazon. This is enough for 60 days supply. You can make savings on larger orders by entering a discount code when you buy. This supplement is fulfilled by Amazon, so qualifies for free shipping with Prime. Apple cider vinegar has long been known for health benefits. Many people swear by apple cider vinegar for a range of purposes from everything to head lice to rheumatism, as well as using it for culinary purposes such as in salad dressing, or around the house for cleaning purposes. Although cider vinegar may be considered by an old fashioned herbal remedy for everything, it has undergone clinical testing. Research suggests it may help lower cholesterol levels, reduce blood sugar levels, and generally help heart health, so this commonplace household condiment may have real health benefits. However, not everyone enjoys the flavour, so apple cider vinegar supplements in capsule form are becoming increasingly popular. Trio Nutrition Premium Apple Cider contains 500mg of apple cider per softgel capsule. Other ingredients include Acetyl L Carnitine – an amino acid that helps the body convert fat into energy, a Citrus complex, and more. Apart from the apple cider vinegar, all the other ingredients are in extremely low servings that add up to only 20mg combined and seem unlikely to do very much. Check out the ingredients tab to find out more. Will Trio Nutrition really honour the guarantee if you want to claim a refund? And are there additional costs or strings attached before you get your money back? The feedback on Amazon does not seem genuine. Have any real customers actually used this supplement and been satisfied? The advertising makes a lot of unfounded claims about this supplement. Can we really trust it? Trio Nutrition looks to be a fairly new supplements company on the market. The company sells Premium Apple Cider Vinegar solely via Amazon and there is also another product based on Milk Thistle Extract. You can follow Trio Nutrition on Facebook where the company has clocked up nearly 5000 followers. If you want to buy either of the supplements you are taken to Amazon. What does Trio Nutrition Premium Apple Cider Vinegar claim to do? According to the advertising, the capsules, “are easy to swallow, and won’t leave an overpowering taste in your mouth unlike liquid apple cider vinegar or apple cider vinegar tablets”. The advertising uses some of the claims that are often made about cider vinegar. Not all of these make complete sense! Does Trio Nutrition Premium Apple Cider Vinegar work? Trio Nutrition Premium Apple Cider Vinegar is not going to work in the way as described. There is nothing here that will give you a “full body detox” whatever that is supposed to mean and effects of all the ingredients apart from the cider vinegar are unlikely at such tiny serving sizes. You would get much better health benefits from just eating honey in natural form, eating a fresh orange sometimes and by just eating normally. A glass of milk contains 8mg of carnitine for example which is in excess of the carnitine serving in this supplement. Carnitine is also present in cheese, meat and other proteins. The Apple cider vinegar content at 500mg a serving looks better but the problem here is that all research has used cider vinegar in natural form. Clinical research suggests that taking one or two tablespoons of cider vinegar before meals may help regulate blood sugar levels. It may help cause feelings of fullness too so may help weight loss. Animal studies suggest that it may reduce cholesterol and blood pressure. The problem is that nothing is strictly proven and although taking a few tablespoons of cider vinegar, diluted with water, or mixed with honey, or put in a salad dressing may have health benefits and is easy and inexpensive, it does not seem to provide the same benefits in supplement form. Apple Cider Vinegar Powder (500mg): Apple cider vinegar is made from crushed apples which are then fermented with yeast in a similar process to wine. ACV contains acetic acid, vitamins and minerals and has long been known as a folk remedy for many issues including osteoporosis, sore throats, stomach upsets and more. Clinical testing has suggested that ACV may help reduce blood sugar levels if consumed before a meal, making it useful for diabetes sufferers. Other benefits may include reducing cholesterol and blood sugar levels. However, all testing has been carried out on using ACV in natural form rather than supplements. Citrus Bioflavonoid Complex 50 (5mg): Branded supplement that contains orange extract which is rich in bioflavonoids – plant-derived compounds that are rich in antioxidants. Bioflavonoids may help the way that more powerful antioxidants like vitamin C work in the body. 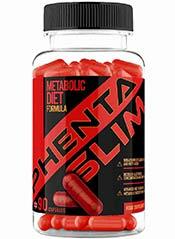 However, with only 5mg contained in this supplement, we cannot see it having much effect. Lipase 42000- 57500 FIP (2.4mg): This is a digestive enzyme that only seems to be used in this supplement. Lipase is a protein manufactured in the Pancreas and it helps the body break down dietary fats. Cayenne Pepper Powder (2mg): Cayenne pepper contains natural chemicals called capsaicinoids which cause the fiery sensation. When taken in sufficient quantities, some research has indicated that high levels of capsaicinoids, increases metabolism and promotes fat burning. This is the sensation of heat and sweating you can experience after a spicy meal but with just 2mg in a supplement, this is not going to work here. Side effects are unlikely to be an issue. Caution: Not suitable for individuals under 18. Avoid if you are pregnant or breastfeeding. Speak to your doctor before use if you have an underlying medical condition or are taking prescription medication. There are over 70 customer reviews on Amazon for Trio Nutrition Premium Apple Cider. 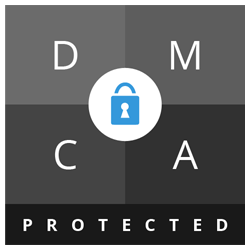 The trouble is that according to scam software, the majority of these are fake and that there is a high level of deception involved. I have been taking the pills for about a week now and i already feel a huge difference. I have lost some weight and i overall feel fantastic. It doesn’t not work!! The only good thing about the product is that you don’t have the nasty taste of the apple cider vinegar!! This product does not work. 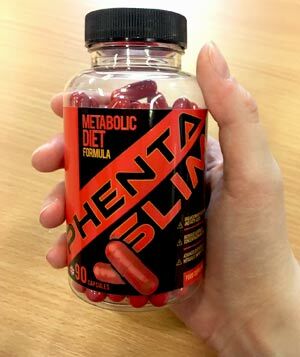 I have tried other diet pills over the years. This one is one of the most useless. It did nothing to curb my appetite whatsoever. You can buy Trio Nutrition Premium Apple Cider via Amazon USA. The problem with all apple cider vinegar supplements is that they might do nothing at all. Although there is evidence that says raw apple cider vinegar can help improve a range of issues including regulating blood sugar levels and even possibly the reduction of cholesterol and blood pressure, cider vinegar capsules have never been tested. All evidence is based on using natural cider vinegar rather than cider vinegar capsules. 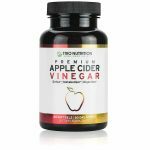 You might think that Premium Apple Cider Vinegar offers a bit more because of the additional ingredients such as honey, cayenne, and the bioflavonoid complex, but in truth, you would do better by using the money spent on this supplement, in buying fresh ingredients and improving your diet. Ingredient quantities are so low and inadequate it seems a wonder to us that they were even included. A teaspoon of honey, an orange, or a glass of milk will all provide more nutrition than the ingredients contained in this supplement. The bottom line about cider vinegar is that if you don’t like cider vinegar and can’t think of a way to disguise or dilute the flavour, a supplement does not provide a viable alternative. Trio Nutrition Premium Apple Cider is certainly not the worst supplement we have ever seen, but it is just not good enough to recommend to the Watchdog readers. How does Trio Nutrition Premium Apple Cider Vinegar compare to Phentaslim?